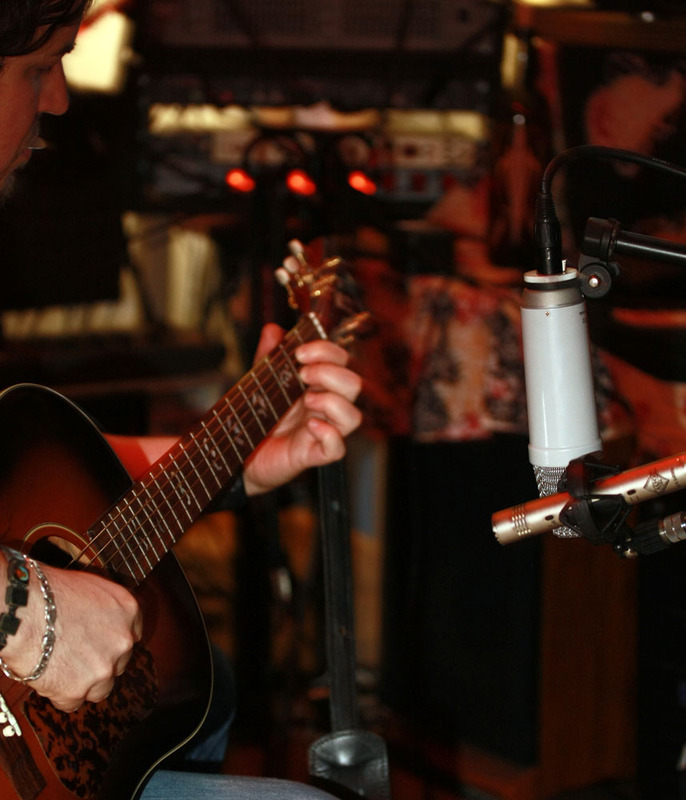 A solid competitor in the low cost, “pencil” style condenser microphone field is the Gauge ECM-84. For under $100 you get a well-built microphone with both Cardioid and Omni capsules in their own storage “pill box,” plus a nice shockmount. 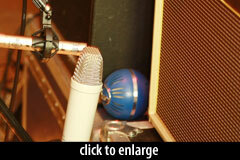 The microphone also includes a padded wooden storage box. I don’t know why, but anytime I get a nice storage box and packaging details like this, I feel like the company cares about the product and about the user. Nice touch and I like it already. Having run a few SDCs through the ringer lately, I wanted to give this one a similar workout. For the cost vs. performance ratio, I was pleased. I was recording some acoustic based music for a local Athens singer/songwriter and was able to use this microphone on a few takes. First up, acoustic guitar, and in conjunction with a Blue Bluebird on the guitar body/soundhole and the Gauge pointed to the 10th-12th fret just off of the body, the combination gave me a very nice stereo spread and just a little bit too much “finger squeak” that took a bit of mic placement and movement to remedy. The brightness of the sound was very pleasing, though, and I felt that this was a solid contender with a bit more lively “character” than a few others that I have tried. No EQ necessary and small mic movements seemed to make significant pronounced changes in the sound. In using the Gauge by itself on acoustic, I found it to be an entirely bright and appealing mic, but definitely took a bit of care to get the right placement. If you have the time, by all means move this one around and you’ll most likely find what you are looking for. For me, this also tends to be a challenge vs. some other less “lively” mics that you can put up get a quick usable sound, though the compromise is that you may not get exactly the sweet sound that the Gauge is capable of. For example, in these sound clips, I set up the Gauge quickly vs. a RØDE NT1 on a Blueridge BG-160 and you can hear a bit of the proximity effect from the bass that, by just moving the mic a bit, all but disappears. I like her, but she’s fussy!! I found myself having to move this one back a lot further than I usually do, and I am not the loudest acoustic player in town. 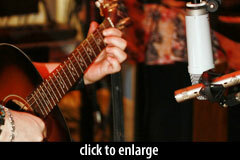 Again, in conjunction with another mic, this is exactly what I want in an acoustic guitar sound. Same story when using the mic on a clean tone, tremolo’d guitar cab. With the 10db pad engaged and set just a bit off from the center of the speaker cone, I found this to sound very much like what I was hearing in the room and not having the dullness that could sometimes be present in a lower-cost mic. But again, it took a little bit more care to get the sound that I wanted, but when I did, it was rewarding. I often times tend to jam a Blue Microphones Ball against the cab and have a RodeNT1 or Oktava 219 set back a bit, but using this one solo, I found that the bass response up close seemed exaggerated and required backing up quite a bit from the cab. I imagine that using this in conjunction with another mic would yield fantastic results. On some hand percussion, I found the Gauge to be great. I set the mic up about one foot above some bongos and a shaker, and I heard a nice crispness that should cut through any mix. On the bongos, the ECM84 was not too different from a Rode NT1, but on the sharper tones of shakers, I can hear a noticeable difference in the high end. I am going to guess that this mic would make a great high-hat or ride microphone for anyone that is doing a multi-mic set-up on their drum kit. This is the kind of mic that is begging to be EQ’d and panned a bit in that scenario for some really biting hi-hat sizzle! 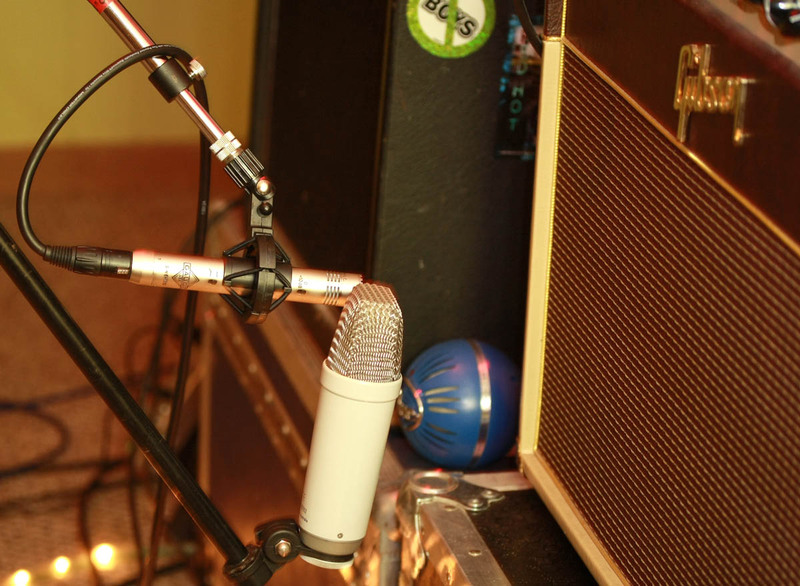 Overall, this mic is a winner, and in a different way than a lot of other low-cost mics. I usually find some of the mics in this price range to be easy to set up and get a “usable” sound out of, with the downside being a lack of character or “oomph.” In this case I discovered that it wasn’t so easy to just “put it up and hit record.” The payoff was a mic that had a lot to offer in clarity and character if you can spend the time and have the patience and ability to listen intently while positioning it. That is not always possible in a session, so keep that in fact in mind. I just bought the ECM84 kit, and I’m very pleased. Yes, I had to move the mic around, but then I usually do that a lot anyway to capture the sweet spot I want. Thanks for doing this, I’m considering the ECM-84 and this review was helpful.